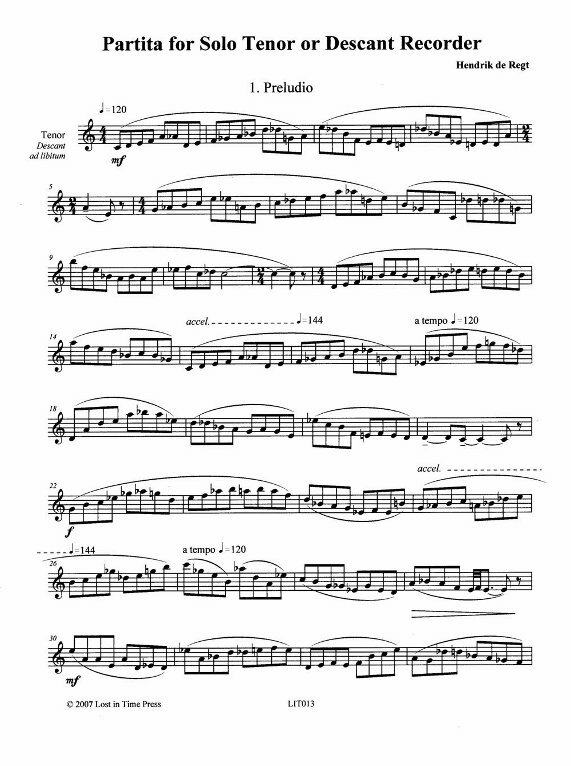 Another contemporary partita by Hendrik de Regt (see LIT011), for solo tenor or soprano. Traditional forms with modern tonality. Intended as a suite, but movements may be played alone as well.